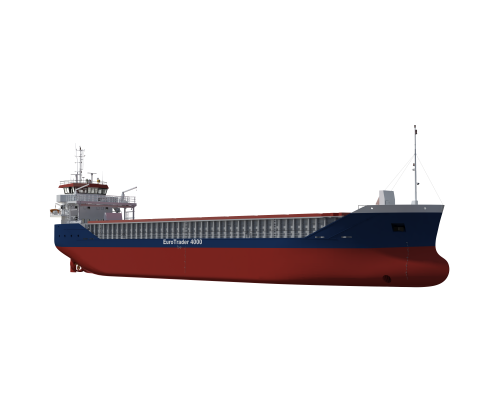 Euro Trader 4000 / 5000 Conoship Internatinonal B.V.
A no nonsense 4100 or 5000 dwt multipurpose general cargo vessel. 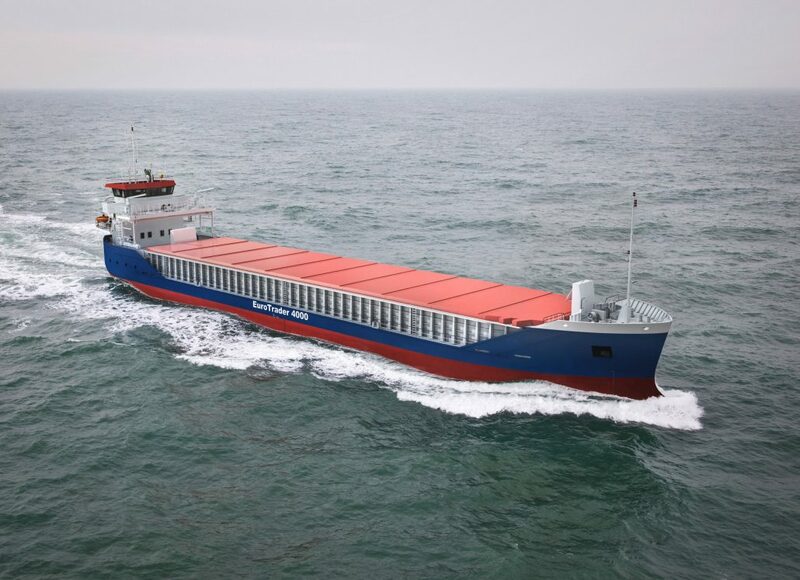 Low in fuel consumption, high in cargo load. 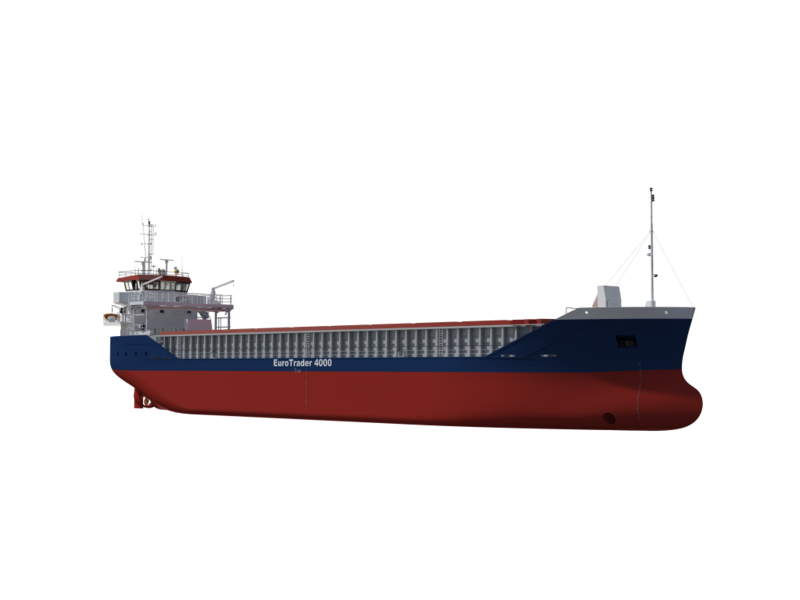 In close cooperation with Neptune Marine Projects, Conoship International developed the EuroTrader 4000 / 5000. 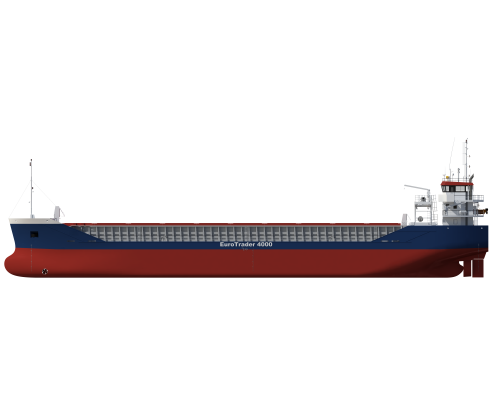 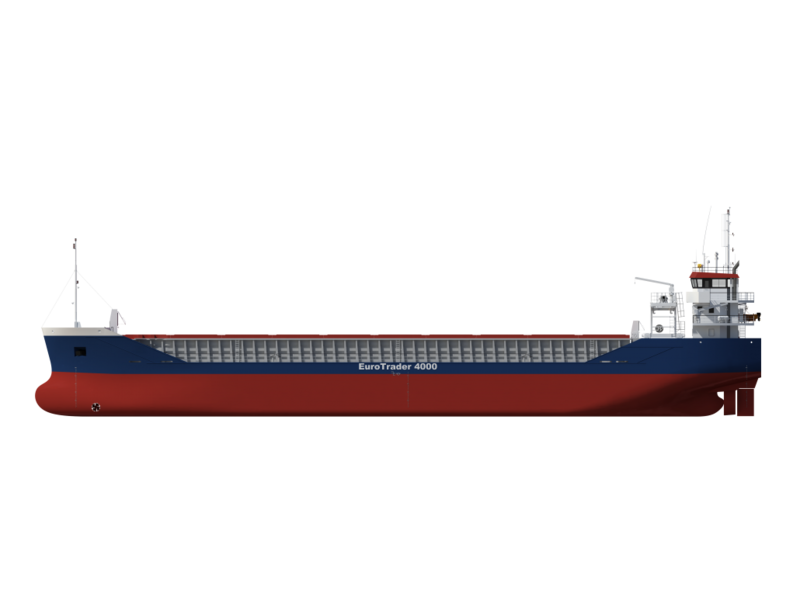 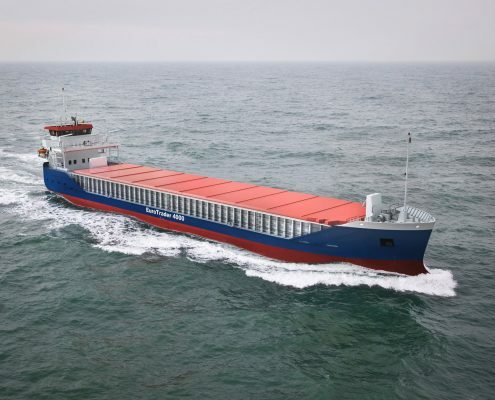 The EuroTrader 4000 / 5000 is a vessel featuring a capacity of about 4,980 ton deadweight on a draught of 5.75 m. On the very low draught of 5.00m, the vessel can take 4,000 ton of cargo. 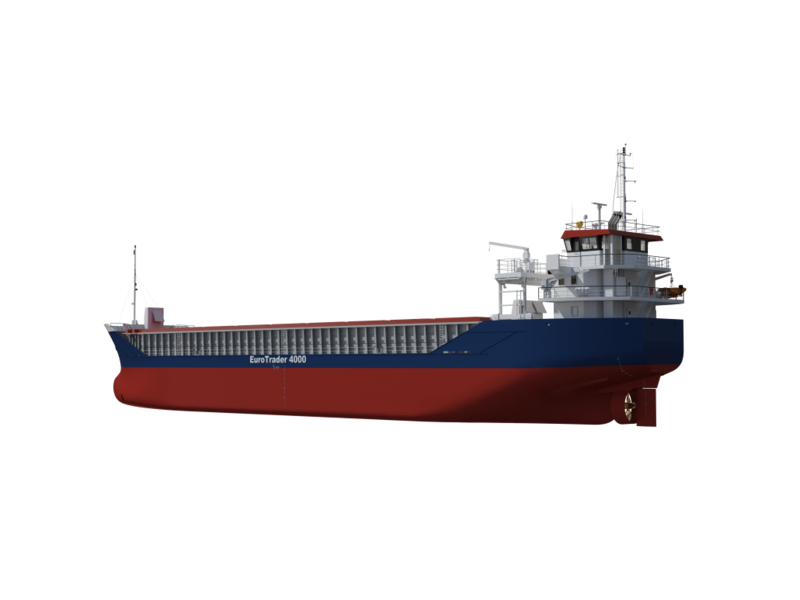 Optionally, the vessel can be customized for more or heavier cargo. 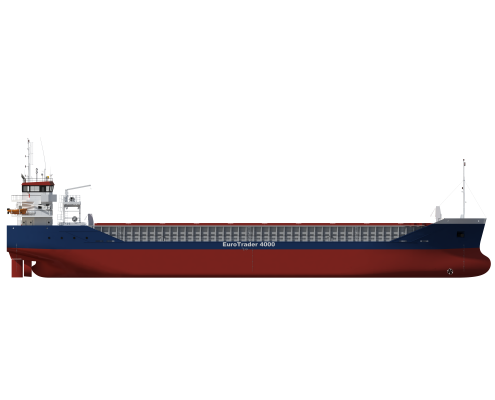 By omitting the walkway, the draught can be limited to 5.20m. 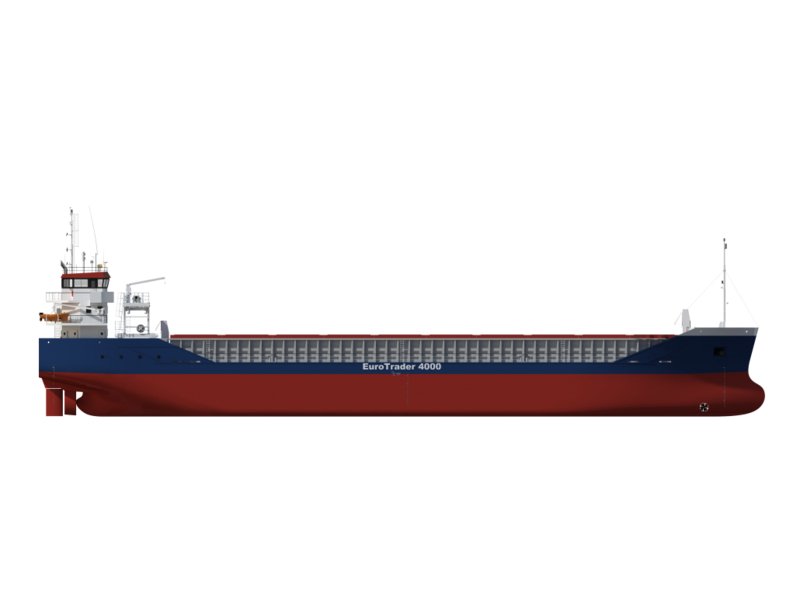 On this draught, a deadweight of 4,350 ton is obtained. 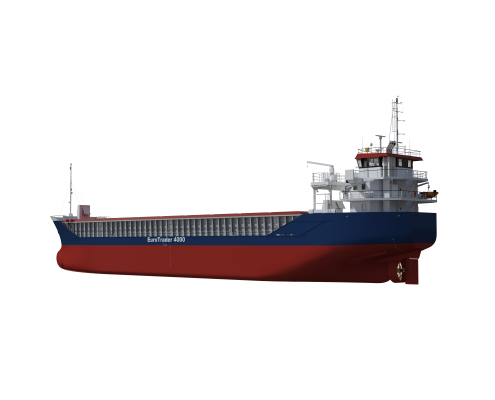 The propulsion train can be optimized for this shallower draught, obtaining an even lower fuel consumption.